There are only a few stands remaining for The Wine & Spirits Show in London next month, which will showcase the industry’s leading producers all under one roof. 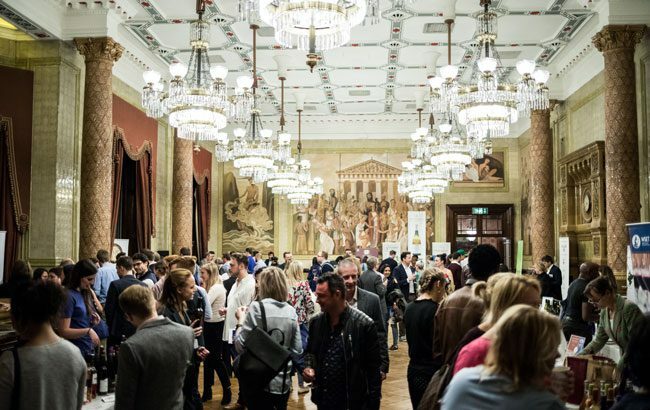 Launched in collaboration between the two magazines, The Wine & Spirits Show will return to The Royal Horseguards Hotel in London on 12 and 13 April. There are only a few remaining stands left for the two-day show, which will showcase leading spirits producers in one hall and wine makers in another. Applications for exhibitors will close at the end of this week. Exhibitors already announced for the show include independent Scotch whisky producer Angus Dundee Distillers, Hamburg-based Knut Hansen Dry Gin and Dutch drinks firm De Kuyper. On Friday 12 April from 2pm to 5pm, a free-to-attend session will be open to members of the trade, who will be able to peruse stands showcasing a multitude of products across the wine, spirits and beer sectors. For details of the free trade masterclasses, click here. There will also be a New Products Zone, which is set to be one of the main attractions of the event, showcasing cutting-edge and innovative new expressions. Get in touch with Chloé Beral – chloe.beral@thedrinksbusiness.com – for more details on exhibiting at The Wine & Spirits Show. The trade will be welcome from 2-5pm on Friday. To register for the trade session, click here. The event will open to consumers from 2-9pm on Friday and 1-8pm on Saturday.